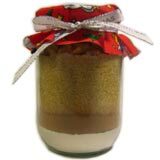 This is my favourite brownies in a jar recipe. It makes amazingly rich and chocolatey brownies with a divine gooey middle. They never last long out of the oven! 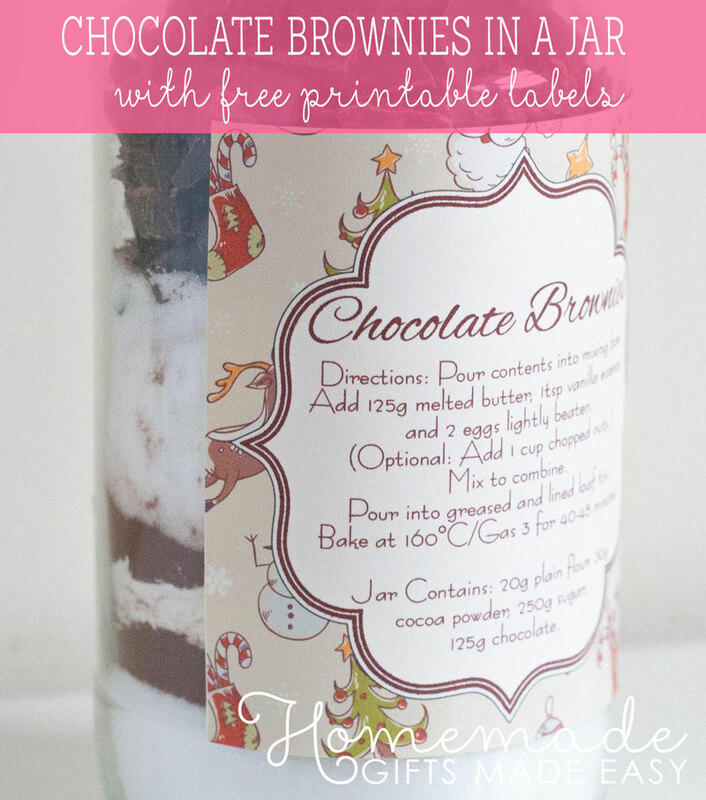 Most people love chocolate and it's hard to go wrong gifting a jar of brownie mix! These jars are quick and easy to assemble, and great to give at Christmas or as teacher-appreciation gifts (and do keep a jar for yourself too!!). except a good friend with chocolate." 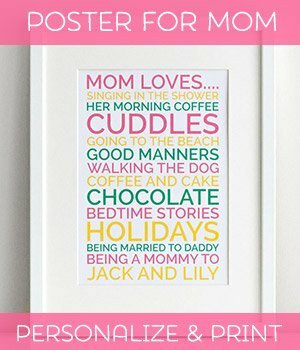 Since having my son I've attended a lovely Mothers' group. Each week we get together and do craft or cooking while the little ones are in creche. This week we're making Brownies in a Jar for everyone to take home, so I thought I'd share the recipe here too. If you want a bigger version, look down the page for our 1 quart jar instructions. I usually split the sugar and cocoa into separate layers so that there are more layers. Then place all the chocolate at the top of the jar. As it's chunky, the finer ingredients will trickle through if you place it further down and it won't look as pretty. Now you've got your filled jars, you need to add a label with the baking instructions. Here are the labels we used at our Mothers' group. As Christmas is approaching I've made one label with a Christmas paper background, and the other I've used a sweet spring rose pattern, so hopefully more versatile for all year around gifts. Print the labels onto thick paper or card-stock (I'm using 160gsm) or you can even use matte photo paper. Cut out the labels and attach to the front and lid of your jar using double-sided tape. Leave as is or embellish with a ribbon. As we're using 500g jars, the batch of brownies you make will be a modest size. Your recipient will need to use a a lined 1lb loaf tin or other small baking tin rather than the usual square brownies tin. To make, pour contents of the jar into a mixing bowl. Add 125g melted butter, 1tsp vanilla essence, and 2 eggs lightly beaten. (Optional: add a cup of chopped nuts). Mix to combine and pour into the tin. Bake at 160 degrees/Gas 3 for 40 minutes or so. So simple, and they are *delicious*. Enjoy! This recipe is the same as the one for my decadent brownies , but scaled down so that the ingredients fit perfectly into a 1 quart jar. Variations: Replace the walnuts with other nuts like almonds or pecans, or use a combination. You could also add raisins to the mix. Measure out the ingredients separately. Layer ingredients into your jar, putting finer ingredients towards the bottom. Here I have put cocoa, flour, brown sugar, walnuts, and chocolate. I think it would work even better breaking up the sugar layer. Have fun experimenting! Just remember that the finer ingredients will fall through the gaps of the chunkier ingredients. That's why I always put the chunkier ingredients towards the top of the jar. Storage: so long as the jar is air-tight, the brownie mix will last as long as any of the individual ingredients (just look on the packaging), which is normally a couple of months. Preheat oven to 320°F (160°C). Line a 7x11" (18x28cm) baking tin with baking paper. Empty out jar contents into a bowl and mix together thoroughly. Mix in 3 eggs (lightly beaten) and 1 cup (225g) of softened butter. Spread onto baking tray and bake for 30-35 minutes. The result is a cake-like crust, and moist and gooey center! 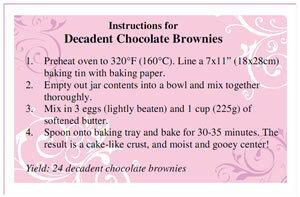 Yield: 24 decadent chocolate brownies. 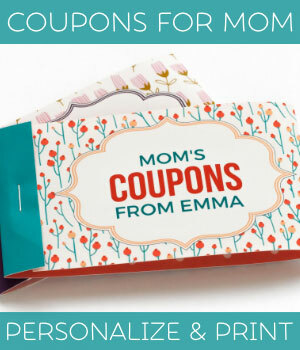 Write out the instructions above and attach them to your gift. Or you can print out my PDF label . How did your brownies in a jar turn out? I hope you baked a batch for yourself too! If you're a chocolate addict (come on, admit it), make sure you also try my choc-chip-bliss cookies. You'll find the recipe on my cookie recipes in a jar page .